In France, a Committee of Public Safety is set up to deal with government enemies in the wake of the monarchy’s overthrow. But safety will not be maintained as in-fighting reaches epic proportions, leaving tens of thousands dead, many by the “National Razor” (guillotine), during the 11-month Reign of Terror. The Reign of Terror, or The Terror, is the label given by most historians to a period during the French Revolution after the First French Republic was established. Several historians consider the “reign of terror” to have begun in 1793, placing the starting date at either 5 September, June or March, while some consider it to have begun in September 1792, or even July 1789, but there is a consensus that it ended with the fall of Maximilien Robespierre in July 1794. (1793) After the revolution a bloody power struggle takes its toll. World War I’s Allied forces take the upper hand for the first time as more than a million French and British soldiers begin to drive back hundreds of thousands of German fighters advancing on Paris at the First Battle of the Marne. The three-day clash will see roughly 500,000 killed or wounded. Reading more like a prose poem than a novel, the 320-page semiautobiographical work published today journeys across sunbaked tarmacs to define the ethos of the Beat Generation. The rambling, stream-of-consciousness travelogue, ‘On the Road,’ will also launch author Jack Kerouac into the literary stratosphere. Munich’s Olympic Games are plunged into panic after Palestinian terrorists storm the Olympic Village rooms housing Israeli athletes and staff, killing two, and taking dozens hostage. A rescue attempt by German authorities at the Munich airport will be botched, resulting in the deaths of nine Israelis, five terrorists, and a West German police officer. World War I's Allied forces take the upper hand for the first time as more than a million French and British soldiers begin to drive back hundreds of thousands of German fighters advancing on Paris at the First Battle of the Marne. The three-day clash will see roughly 500,000 killed or wounded. 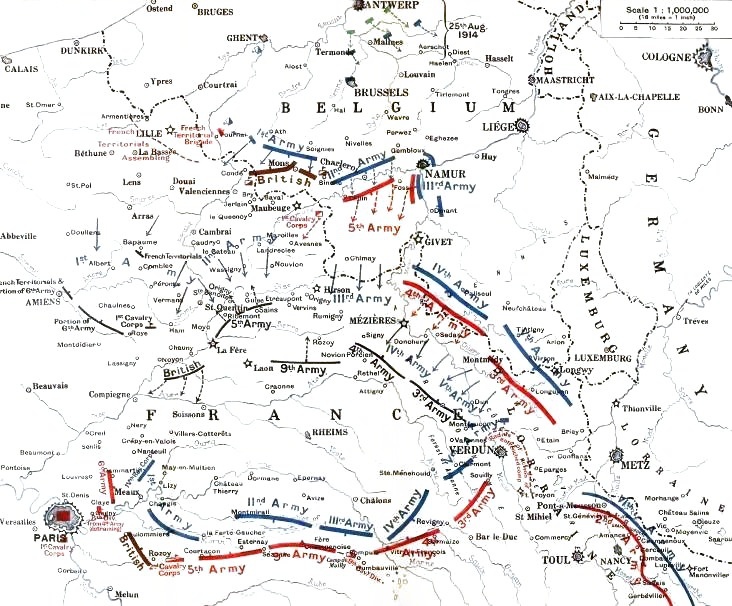 The Battle of the Marne was a World War I battle fought from 6–10 September 1914. It resulted in an Allied victory against the German armies in the west. The battle was the culmination of the German advance into France and pursuit of the Allied armies which followed the Battle of the Frontiers in August and had reached the eastern outskirts of Paris. A counter-attack by six French armies and the British Expeditionary Force along the Marne River forced the Imperial German Army to retreat north-west, leading to the First Battle of the Aisne and the Race to the Sea. The battle was a victory for the Allies but led to four years of trench warfare stalemate on the Western Front.